The bug that gives stomach grief—Helicobacter pylori—may help breathe easy. A study has found that the infection with the gastric bacteria protects against allergy-induced asthma. It also confirms that the increase in allergic diseases in industrialised nations is linked to vanishing microorganisms that populate the human body. H pylori is resistant to gastric acid. 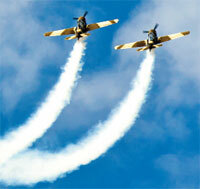 Aeroplanes can punch holes through the clouds and trigger rain and snow fall. Researchers have found this happens under certain atmospheric conditions—cloud layers with temperatures of -15°C or lower. 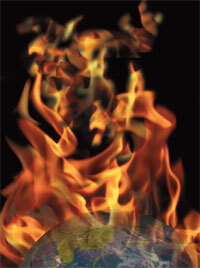 Around 50 million years ago, Earth was the hottest in the planet’s history. But new evidence indicates the temperature may not have been quite as high as previously thought. Scientists analysed chemical signatures trapped in the fossilised shells of molluscs that lived in what is now Alabama. Scientists have finally uncoded the genetic blueprint of the potato. 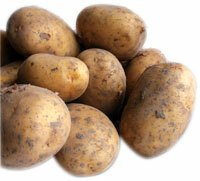 Solanum tuberosum or potatao is the world’s fourth most important food crop and is vital for global food security. But its sequencing has been delayed due to the genetic complexity. The team found that potato’s genome comprises more than 39,000 protein-coding genes, has four copies of every chromosome—heterozygous autotetraploid. 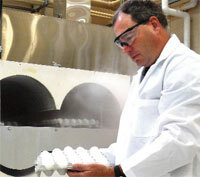 The ability of the eggs to fight bacteria such as Salmonella is reduced once they are laid. 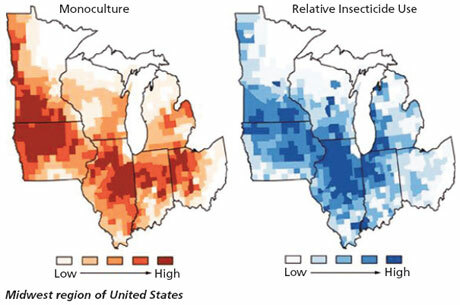 Now Kevin Keener, a researcher at Purdue University in the US, has found a way to sustain the defenses. Freshly laid eggs are saturated with carbon dioxide and have pH levels of seven. Over time, the pH level rises to nine and carbon dioxide escapes. 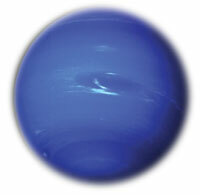 Neptune, which was discovered on September 24, 1846, completes one Neptunian year. If you lived on Neptune, a year would amount to 164.79 years on Earth. The ice-capped planet, which is the farthest from Sun in the solar system, was not discovered by observation but by mathematical calculations. Astronomers had been perplexed by Uranus’ orbital trajectory—the planet did not revolve around the Sun the way it was expected to. It became clear there was another heavenly body exerting its gravitational pull. Two scientists, Urbain J J Leverrier and John Couch Adams independently worked on mathematical calculations to locate the position of the unknown body. Neptune was finally sighted by Johann Galle at the Berlin Observatory on a tip-off from Leverrier. Dense methane clouds render it a blue appearance.